The Convention on International Trade in Endangered Species of Wild Fauna and Flora, also known as CITES, is made up of 176 countries that meet every three years to draft up rules on the protection and management of, well, the international trade in endangered species of wild fauna and flora. This international treaty protects endangered species like whales, dolphins, and turtles, but despite there being 150 shark species assessed as threatened or near threatened with extinction by the International Union for Conservation of Nature Red List of Threatened Species, only three species of shark are listed by CITES. 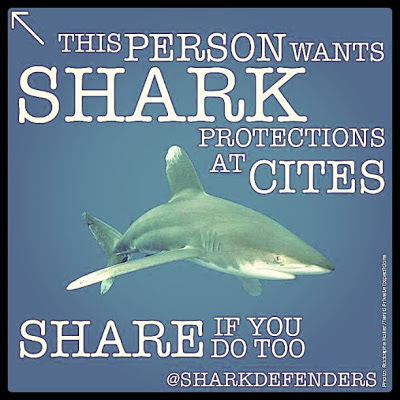 While there are national and regional protections for some species of sharks, CITES is the only international body that protects species on a global level. Conservationists hope this situation will begin to change at the next Conference of the Parties to be held in Bangkok in March 2013. 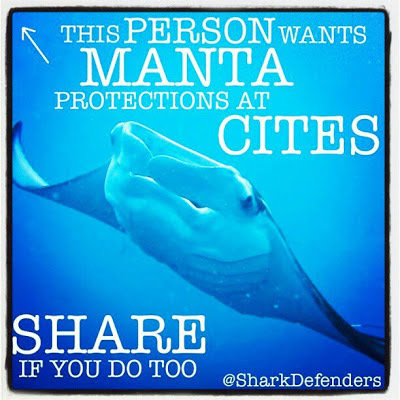 A diverse coalition of shark conservation countries has put forth proposals to protect five species of shark and two species of manta ray. On behalf of the young people who love our ocean and want to see threatened sharks protected from extinction, thank you and congratulations to the forward thinking governments of Brazil, Comoros, Costa Rica, Colombia, Croatia, Ecuador, Egypt, Honduras, Mexico, the United States, and the 27 member States of the European Union for proposing these important animals for protection. Gaining protections for each of these proposals requires 2/3 affirmative votes from the voting 176 members countries. If you would like to show your support to the leaders of your country, you can start by downloading these two graphics and sharing, tweeting, and pinning them to your social networks. 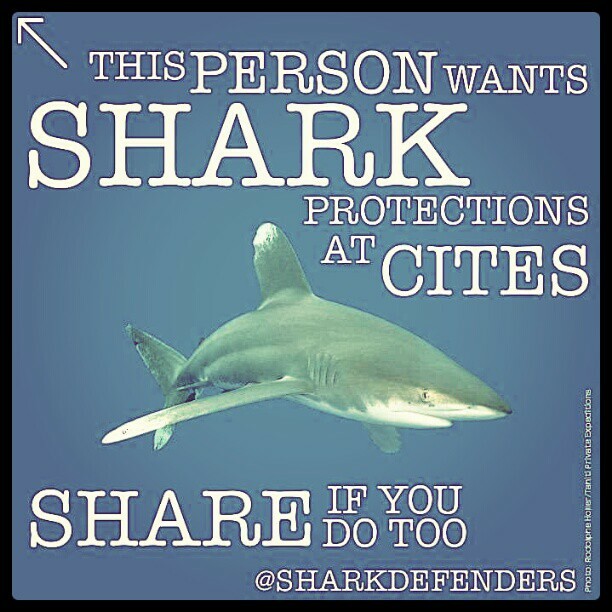 In the weeks and months to come Shark Defenders will have more ways for you to help save the world’s sharks. You can also sign up to take the Shark Defenders Pledge so that we can email you directly for your help.